K2 Energy’s proprietary K2|LiFePO4™ is a proven cleaner, safer Lithium ion technology that has become the battery chemistry of choice for in growing number of medical devices and energy storage applications. K2’s batteries also have the advantage of being lightweight energy dense with little to no maintenance. * This allows K2’s customers to create systems to power critical care medical equipment while providing a myriad of advantages over standard batteries. 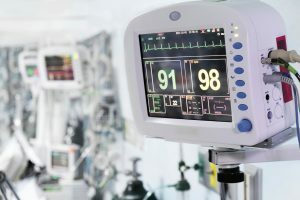 K2’s cells, packs and systems are being used in a wide variety of energy storage applications and medical devices, such as, ventilators, oxygen concentrators, defibrillators, and EMS equipment, providing safe and cost effective solutions for the delivery of life-saving medical services.